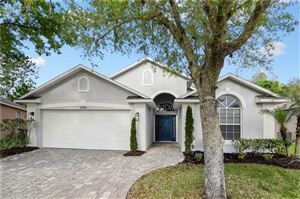 Fawn Ridge, located Westchase area of Tampa, in northwest area of Hillsborough County. This is fabulously developed, well planned and deed restricted community. Fawn Ridge community offers very relaxing and peaceful environment with beautiful landscaping, numerous gorgeous ponds, and a community park. The community Park along with a baseball field, restrooms, a basketball court as well as a lighted tennis court is a perfect place for socializing. Residents can go for shopping, dining and entertainment. Just minutes to the Westfield Citrus Park Mall, several dining facilities, and fast food restaurants and have an easy access to Pinellas County beaches, Tampa International Airport and The Veteran's Expressway.